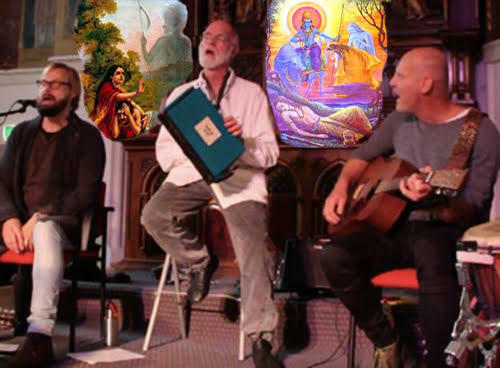 Henry Marshall (psychologist and storyteller together with musicians Jeroen de Geus and Jay Jay van Sleen) deepens stories from the old Eastern source of Hari Katha, songs and stories of the Infinite. Saturday, 15 July 2017, 21.00 – 23.00 h, Amsterdamse Bos. For registration and/or information: info@uitvaren.com. Zie ook: http://www.inpeacenet.com. Jesse Boon from Onder Woorden wrote her impressions about the performance on her blog https://onderwoorden.nu/2017/07/17/werkplaats-van-weerstand-en-oordeel/, in Dutch. From time immemorial, humans have wondered, “What’s it all about?” Some of the best answers are to be found in the stories and songs that have passed down generation to generation. Every culture has its treasured tales and legends, its ballads and hymns. The mantras and myths of the Himalayas have a special place in this tradition… and they have a special place in my heart. In the East, a program of stories and songs of God / the Infinite is called “Hari Katha.” It’s a fusion of inspiring stories, devotional singing, and cosmic theater. Our evening in het Amsterdamse Bos will be an opportunity to experience Hari Katha focused around the life/death transition. We will take a journey into the Self. We’ll hear inspiring tales from Eastern myths of transformation. We’ll sing musical mantras that sustain us on this path. We’ll share about how to incarnate these teachings into our lives. This is a hot topic for me personally. My beloved partner Rickie Moore left her body in April 2016. As her time of “leaving” approached our guiding lights were, “I am not my body, I am not my personality… I am.” These fundamental principles of Eastern wisdom continue to sustain me. I’ll share about my journey with the intention to support you in living your highest principles. Music from Jeroen de Geus and Jay Jay van Sleen will help us on our way. Join us! We’ll sing the old songs, tell the old stories, and share our newly-discovered truth. 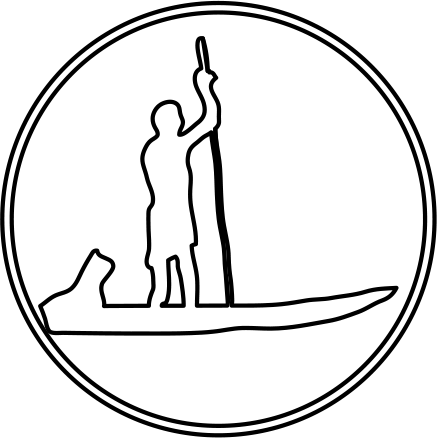 I’m a GGZ psychologist, counsellor, and coach in private practice in the center of Amsterdam. For me it's a calling to empower people to awaken to their potential for healing and personal development. My passion is leading mantra chanting groups. It's a delight to help people sing out these powerful vibrations and go deep into meditative stillness or expressive free dance. I'm humbled and overjoyed that the mantra CDs I've recorded with Playshop Family Musicians open hearts and calm minds around the world. It's a dream come true to spread these inspiring sounds into the hearts and lives of many souls.